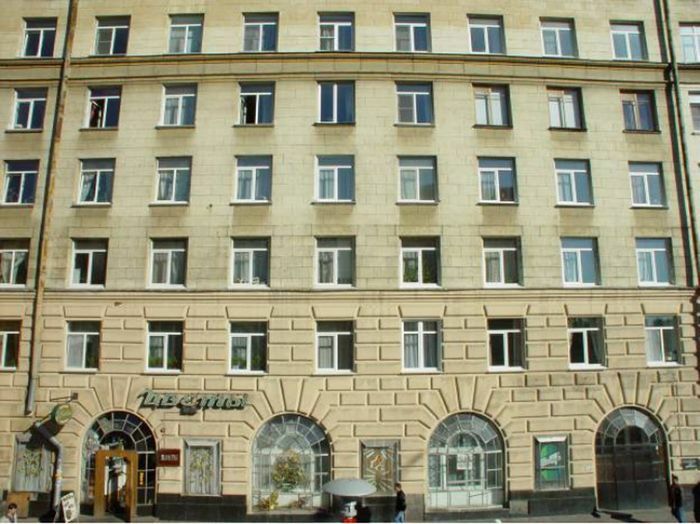 The facades measurement work by stereophotogrammetric method can be divided in followed stages: field work; field data processing; stereophotogrammetric measurements and drawings making. 1. The first stage includes photogrammetric survey of the object and taking of reference points with a tachymeter. Minimum 4 reference points are needed for every stereopair. 2. On the second stage reference data are processed in Coordinate Transformer. 3. On the third stage the elements of orientation of the images are defined by referenced points in PhotoTransformator Universal. 4. The final stage includes stereophotogrammetric measurements and drawing making. The module StereoTracer for AutoCAD is used on this stage. 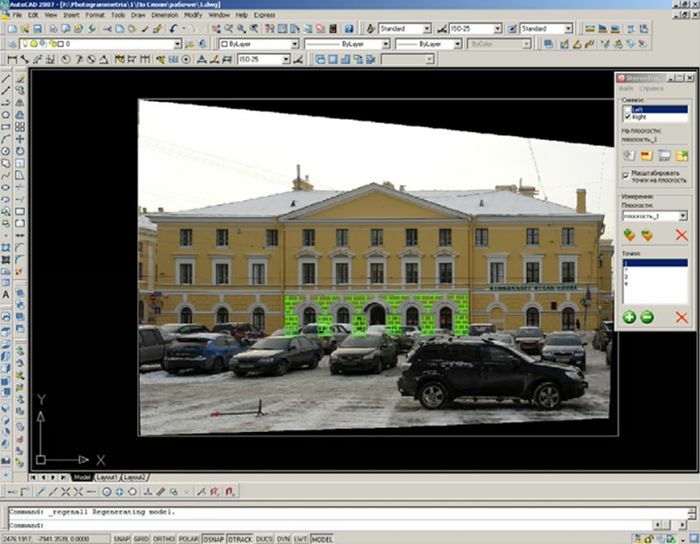 You open PhotoTransformator projects, which comprise transformed images and their elements of orientation, directly in AutoCAD and make all necessary stereophotogrammetric measurements. 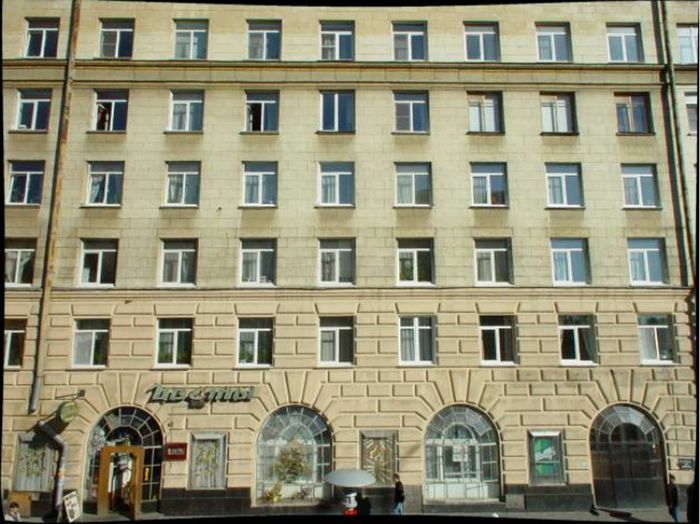 Basically, you need to adjust images to different scales corresponded to different planes of facade. 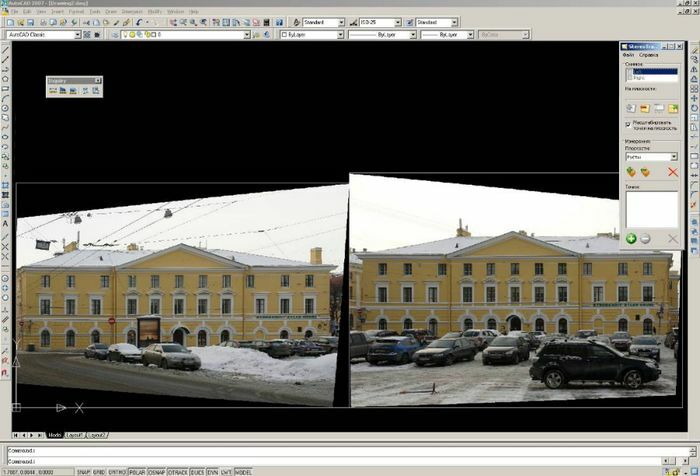 The volume of stereophotogrammetric measurements is minimal because images are already oriented by the general facade plane. You create the plan by drawing on images parallel with measurements. Due to the simplicity and the effectiveness this technology successfully competes with the LIDAR technology for facade measurements.